I wish these were mine. 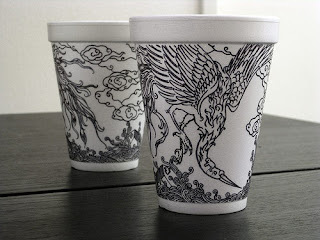 Coffee cup drawings by the talented Cheeming Boey. I suppose one could use those ink pens for china and make a greener version.